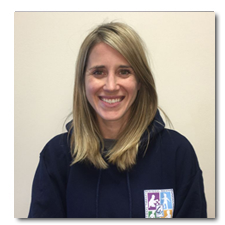 Rebecca is a Maryland and Nationally board certified Speech-Language Pathologist who has been practicing since 2010. She received her Bachelors degree from James Madison University and her Masters degree in speech language pathology from Towson University. She has a wide range of experience and background knowledge treating children and adults in outpatient adult and pediatric facilities as well as inpatient rehabilitation programs. She has experience treating children with a variety of needs including language, articulation/phonology, fluency, Autism Spectrum Disorders, orofacial myofunctional disorders, social skills, and those who use augmentative alternative communication (AAC). She is a PROMPT trained clinician as well as CPR certified. Rebecca enjoys working with complex articulation children as well as early intervention and fluency. She integrates and consults with all team members to assist in incorporating a whole-child approach.